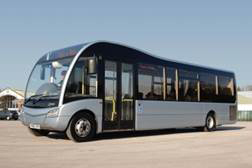 The team at Elite KL Ltd has been involved in the design and supply of heating and cooling systems for buses and coaches for over twenty-five years. During this time we have proven how to design and manufacture systems that achieve the best solution for the customer’s requirements. On-time delivery performance and product quality are paramount and we measure both continuously in order to ensure the best possible service to our customers. – Third party testing and certification for EMC, shock vibration, etc.